Small/Medium - $88.99 Medium/Large - $76.99 Only 1 left! Red is Passion! Red is Life! Red is the color of passion, friend! It’s the color that captures attention. It’s the color of fire, burning brightly. It’s the color of blood and primal emotions. It’s the color of love. It’s the color of freedom and following your dreams. It’s the color of player 1 on video games! All of the most delicious fruits are some shade of red (we’re looking at you strawberries and raspberries) and perhaps, it just so happens to be your favorite color of LEGO brick. Yes, perhaps your love of the color is quite strong! When you were just a little one, while your friends were building LEGO castles out or gray, you dared to dream bigger! You made castles out of fire red bricks. Maybe you made your spaceship out of red. You made your race cars out of red bricks! Maybe you even made your pirate ship out of red, because why do anything unless you’re going to do it with a little bit of flair. You want to show the whole world your passion! Well, now you can do it LEGO costume form! This LEGO red brick costume helps you become the building block to showing off your passion! 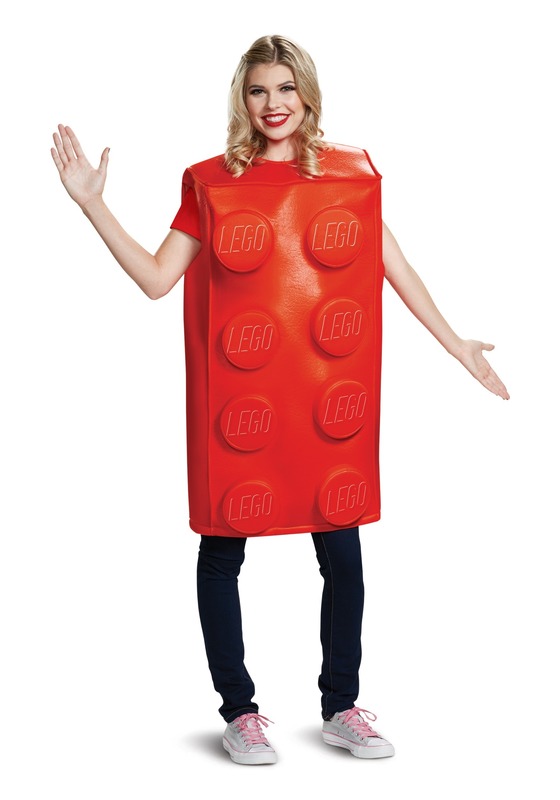 This officially licensed outfit comes with a tunic-style top that’s designed in the shape of a classic LEGO brick. It fits quite easily over your normal clothes and it has 8 studs on the front with the LEGO symbol on them. Talk about a quick and easy costume! 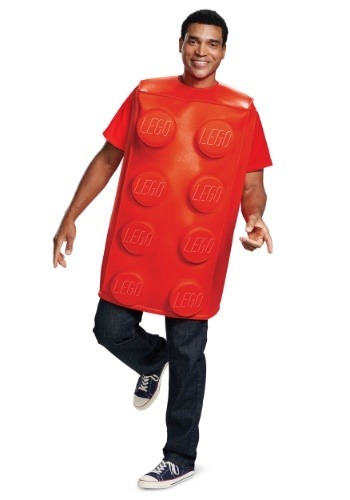 Suit up in this Red LEGO costume and you should be ready to build the perfect experience for your next party! Just make sure to grab one of your friends and our Blue LEGO costume so you can be an unstoppable duo based on the toy favorite!